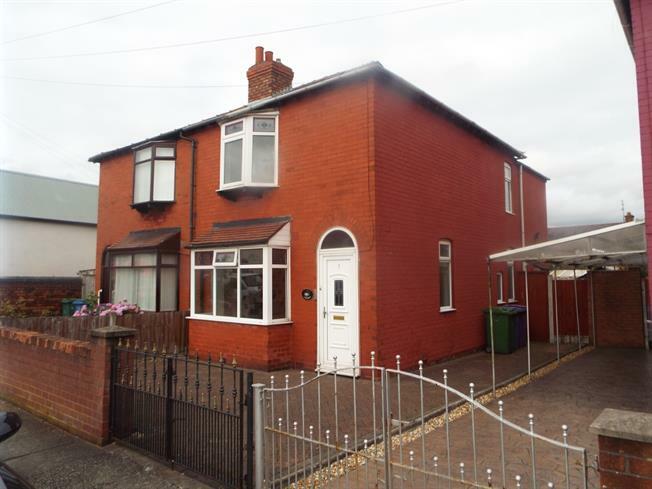 3 Bedroom Semi Detached House For Sale in Liverpool for Offers in the region of £90,000. Entwistle Green are very pleased to welcome to the market this three bedroom property with the added advantage of no onward chain. In brief, the accommodation comprises of, a porch, entrance hall, lounge, dining room, under stairs storage, a kitchen, three bedrooms, a bathroom, double glazing and central heating. Externally, the property offers, off road parking and a brilliant rear garden, which extends a good distance out. To arrange a viewing, please call your local branch. Double glazed uPVC window facing the rear overlooking the garden. Gas fire. Double glazed uPVC window facing the rear overlooking the garden. Radiator. Wood work surface, freestanding and wall and base units, stainless steel sink with drainer, freestanding, gas oven, gas hob. Double glazed uPVC window facing the rear overlooking the garden. Radiator, original floorboards. Double glazed steel window. Radiator, original floorboards. Double glazed uPVC bay window facing the front. Radiator, original floorboards. Double glazed uPVC window. Vinyl flooring. Low level WC, panelled bath, shower over bath, pedestal sink.